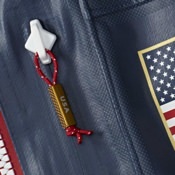 American Olympians Will Have Some Badass Gear - PyeongChang 2018 | Valet. With just a couple of weeks before the 2018 Winter Olympics begin in PyeongChang, South Korea, the American delegation is headed to team processing. This is where each athlete is fitted for their opening and closing ceremony outfits, a team uniform for the medal podium and a range of gear to wear in the athlete's village. Eight full-time tailors will be working onsite to ensure that the 700+ uniforms fit each athlete's body perfectly. 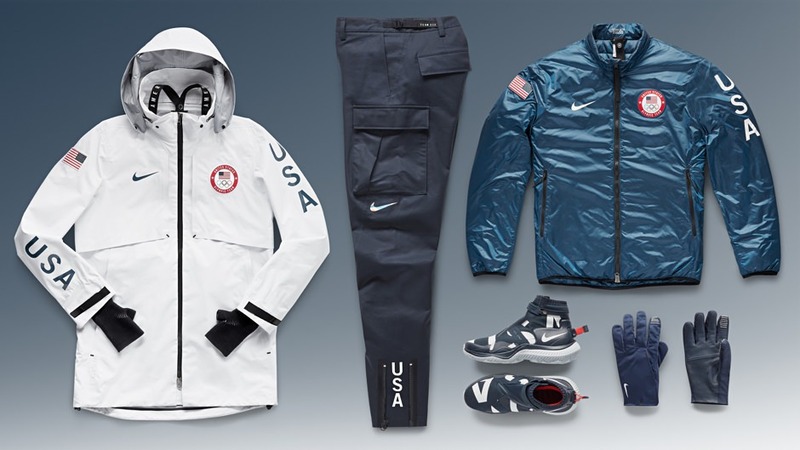 The Olympians will also get new shoes, sunglasses and various sport-specific gear. And this year, the clothes worn by our athletes will be more stylish and technologically advanced than ever before. Herewith, a preview. 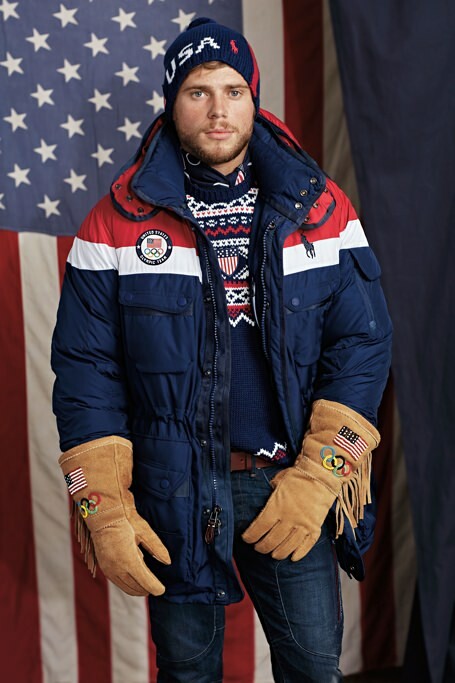 Team USA's opening and closing ceremony outfits, once again designed by Ralph Lauren, mix of classic alpine style with icons of American style—jeans, Fair Isle wool sweaters, cozy knit beanies and mountaineering boots. But there's also another high-tech advantage to help our Olympians endure the frigid South Korean winter: a parka and a bomber jacket that each use a heat-conducting ink to generate warmth like an electric blanket. 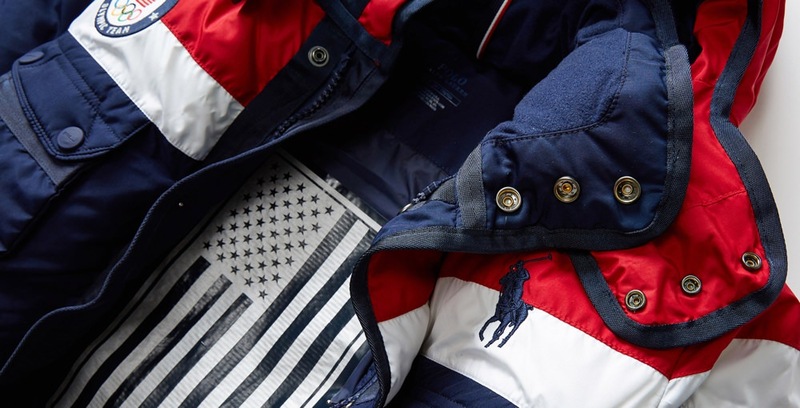 According to the company, "The heating system is made from electronic-printed conductive inks, printed in the shape of an American flag in carbon and silver ink and bonded to the interior of the jackets." The jackets conduct heat for 11 hours on a full charge and athletes can adjust the temperature up or down through a smartphone app. All the medal ceremonies (except for hockey) in PyeongChang will be held in open-air arenas where temperatures are expected to be below freezing. So Nike designed their medal stand collection as an answer to that bone-chilling dilemma. It includes the Summit Jacket System, a wind- and waterproof GORE-TEX shell with a removable bomber jacket and engineered hand warmers; pants made with a durable water-repellent coating (and ankle zips for easy customization); touchscreen compatible gloves and a gaiter boot with a lace-free closure and a FlyEase-inspired entry system. Columbia's Team USA ski jacket and pants boast the brand's OutDry Extreme technology applied to four-way stretch fabrics—providing exceptional protection from the elements while still allowing plenty of mobility. It features a flexible, laser-cut zipper that adheres to the fabric without the need for traditional bonding agents, creating waterproof pockets at a reduced weight. And the jackets feature a heat-reflective interior, which works like a space blanket to keep athletes warm without excess bulk. At the same time, the highly breathable material still vents out heat and perspiration, keeping the skiers warm and dry on top of the mountain. 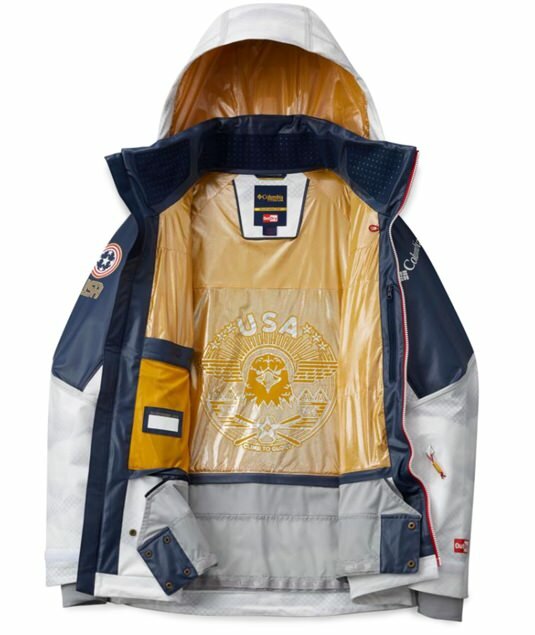 Inspired by the rich history of American astronauts, Burton's 2018 US Snowboard Team uniform is both innovative in function and retro-futuristic in design. The competition jacket and pants boast an iridescent silver shine courtesy of a lightweight aluminum-coated fabric (typically used in audio equipment) that provides additional insulation from the elements and reflects light at the same time. 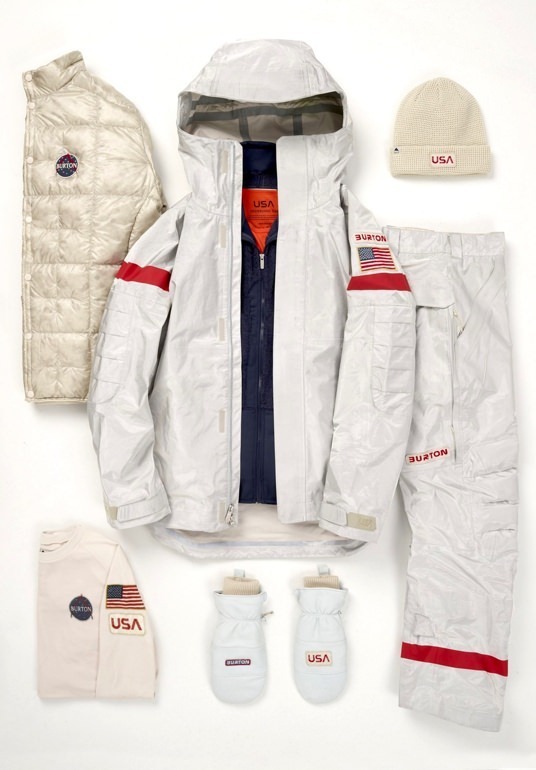 Layered under the jacket will be Polartec fleece jackets and pants, a quilted lightweight insulator jacket and wool base-layer pieces in the same orange used by the American space program. Want to know when your favorite sport is airing? Check out NBC's official Olympic schedule. The games have always been a show of strength and ingenuity—now the sentiment extends to what the Olympians are wearing too.